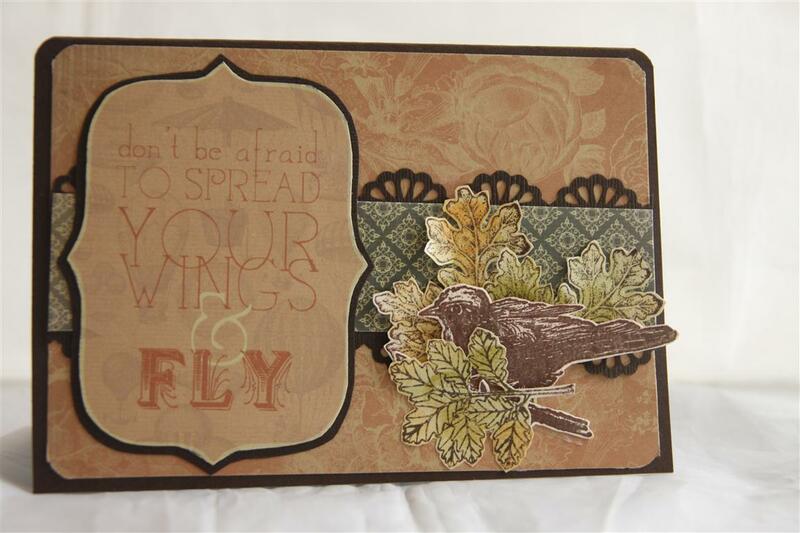 Here is the only other card I have had time to make using Kaisercraft Periwinkle paper. I punched a border with E.K. 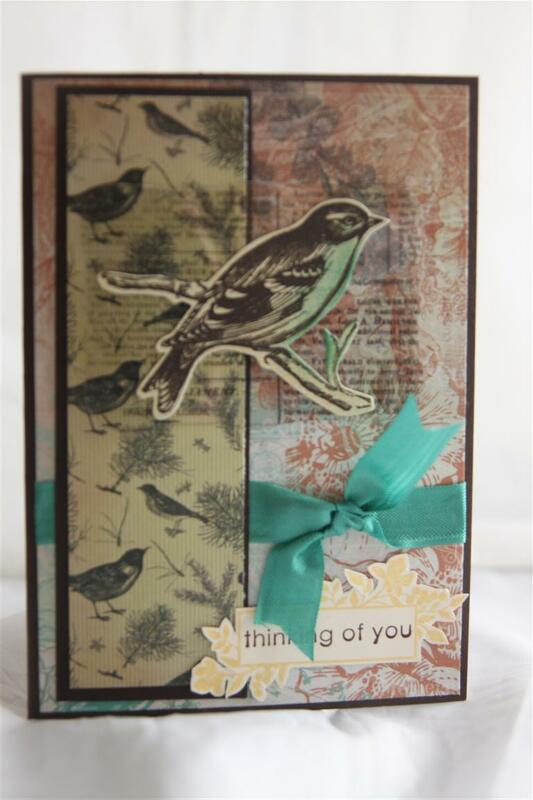 Success fan border punch, which I have been using a lot lately,and the bird is a stamp from Oxford Impressions Nature set. I can’t tell you where the leaf stamps are from – I have looked in my room – it’s a disaster area in there at the moment, and I can’t lay my hands on the stamp set used, but I do know I stamped them on white and coloured them with distress inks and a sponge dauber. I have had a lovely day with my Mum, visiting the craft shops, and looking at all the new releases, ahh, so much product, not enough crafting time! Til tomorrow….